You will not have to waste your valuable time on manually specifying properties each time you need to create a new MySQL table. With this option, you can forget about going through this process over and over again. 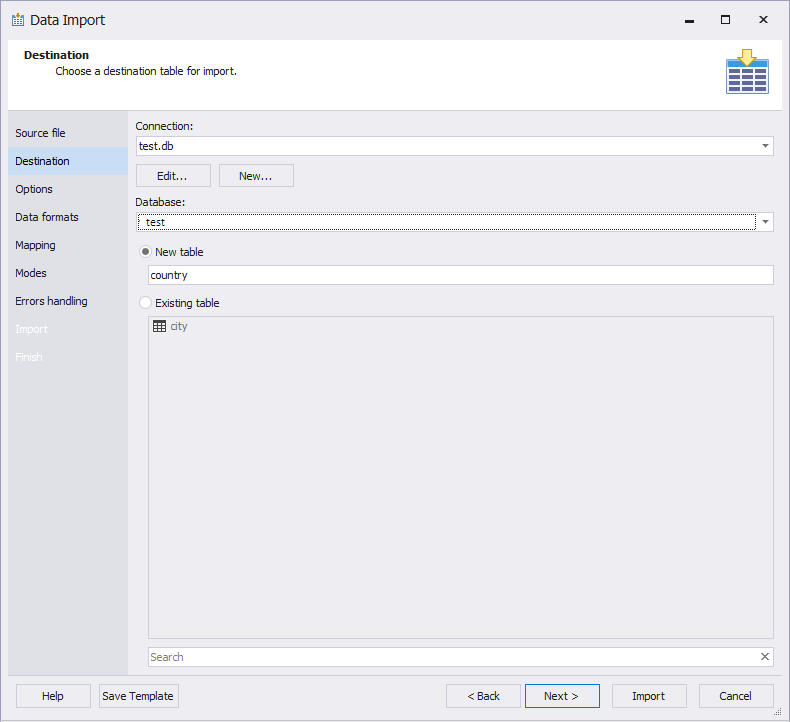 Instead, you can import data by creating a template based on the .csv file fast and in a few clicks. 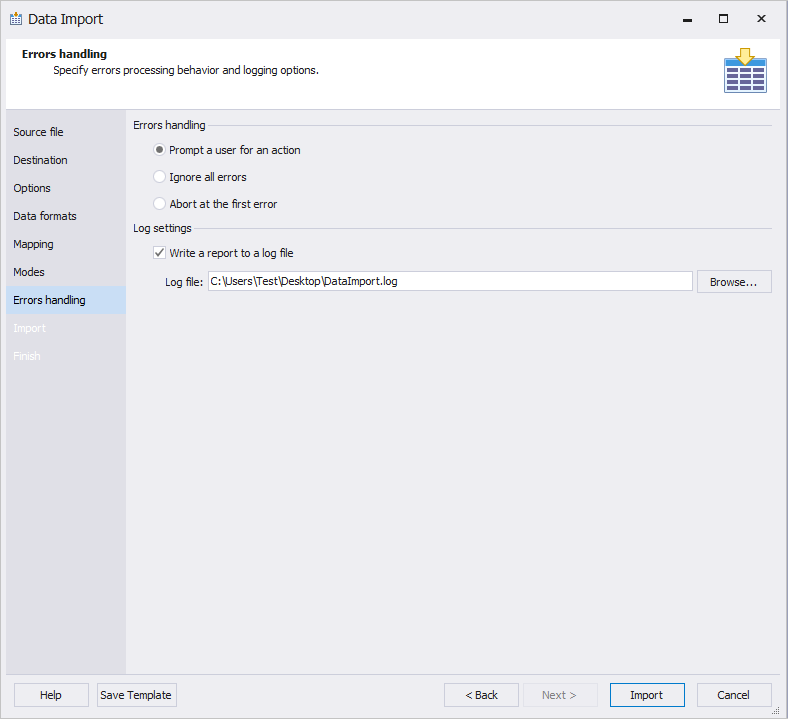 In the following example, we are going to demonstrate the process of importing a .csv file through the command line in dbForge Studio for MySQL. 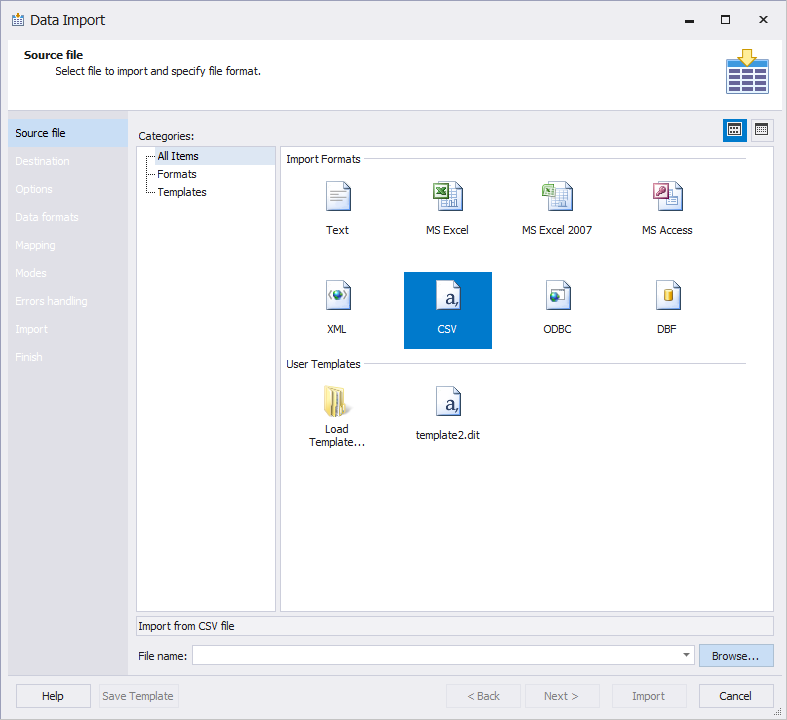 Open the previously created .CSV file and click Next. Open the template file in any third-party text editor, for example, Notepad++. 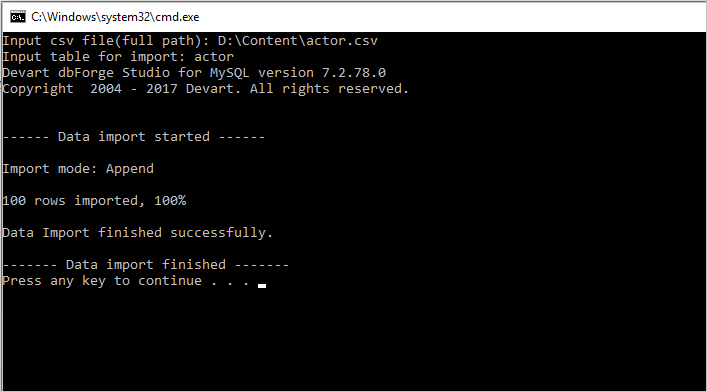 where D:\template.dit is your template file. 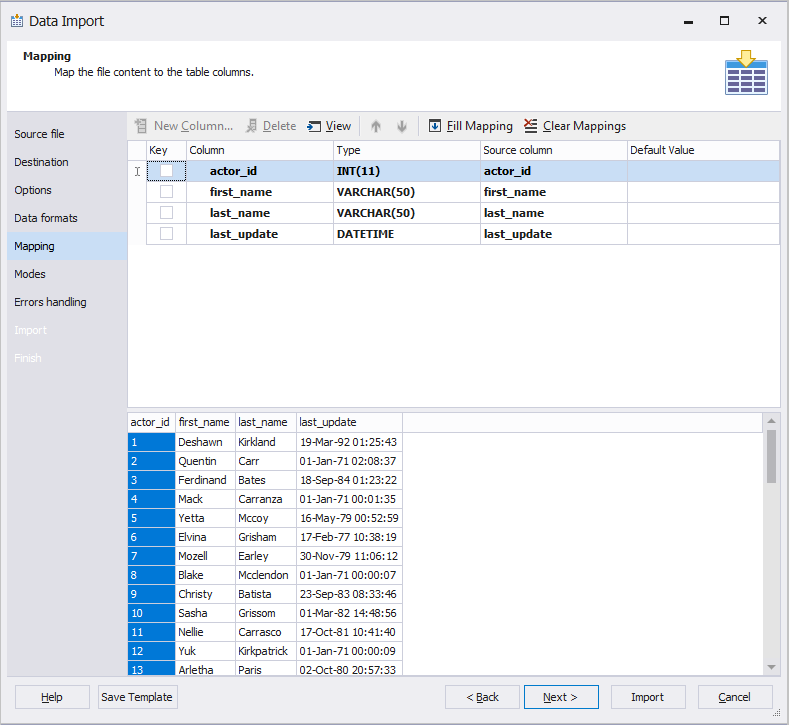 Once the data import process is successfully completed, go to dbForge Studio for MySQL table and click Refresh in Database Explorer. 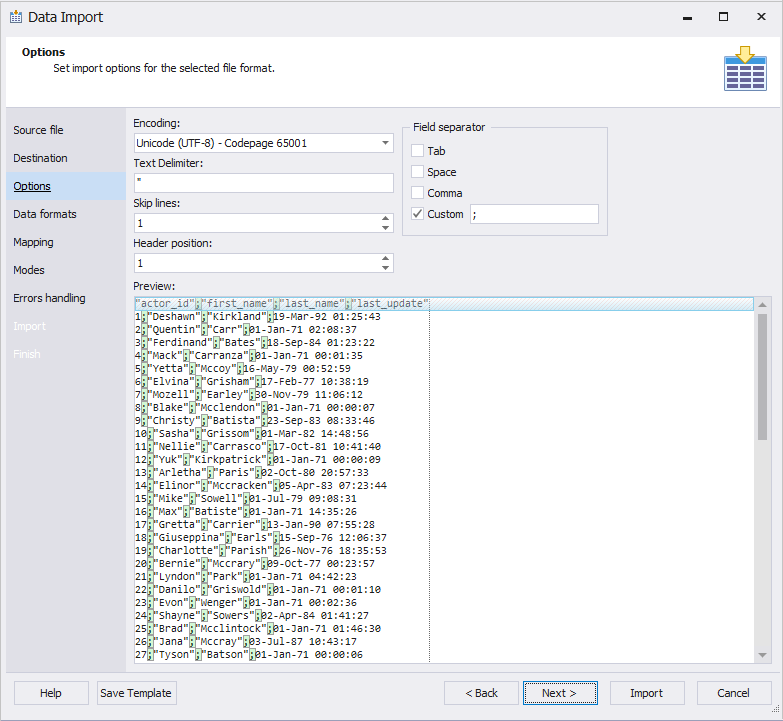 To import data via the command line is much easier with dbForge Studio for MySQL. It simplifies the import process and saves much time on loading multiple .csv files in several clicks, efficiently and effortlessly. Hi, I am using the ‘express edition’ and suspect that is why I do not have ‘save template’ option. Regardless, my question is: Is the generated import script standard SQL?, and if so, can it be saved in the database as a stored-procedure? Thanks!